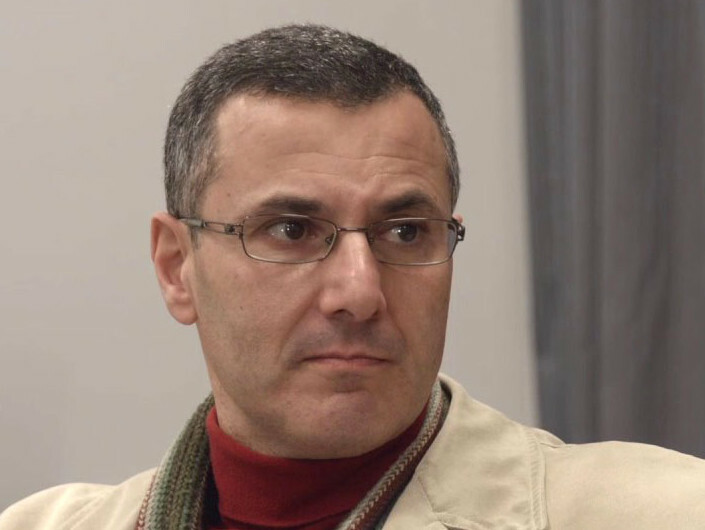 I awakened early Wednesday to listen to a voicemail message from Omar Barghouti, a leading member of the Palestinian movement to Boycott, Divest, and Sanction (BDS) Israel. In the message, Omar told me that he was at Ben Gurion Airport and despite holding a valid US visa and a boarding pass for his flight to Washington, the airline would not let him board the plane. He was informed that American immigration officials had notified the airline that he was being barred from entering the US. We had invited Barghouti to Washington to speak at a number of educational programmes and to have him meet with Members of Congress or their staffs. Apparently, it was exactly this sort of dialogue and education that the Trump administration did not want to occur. While polling shows that a plurality of Americans support the Palestinian’s right to call for a boycott in protest against Israel’s colony expansion and persistent violation of Palestinian human rights, in Congress and in state capitols around the US there is an anti-BDS hysteria. This near-feverish campaign to penalise individuals and entities that support BDS has succeeded in more than two dozen states and is the subject of a number bills and resolutions before this session of Congress. Since the language in the Congressional resolutions, we believe, mischaracterises the BDS movement and misquotes Barghouti, w We felt that it would be important to bring him to Washington to directly address the concerns of legislators and policymakers. We planned three events: a discussion moderated by Peter Beinart, a leading American Jewish intellectual who writes for The Atlantic magazine and the Jewish Forward newspaper; a conversation with young Jewish and Arab Americans (co-hosted with Jewish Voice for Peace); and a briefing for congressional staff. We also wrote to the original co-sponsors of the Congressional legislation asking them to privately meet with Barghouti. There were, additionally, programmes set at Harvard University, New York University, and at a major synagogue in Chicago. When confronted by Barghouti’s denial of entry we decided, nevertheless, to go forward with the programme, conducting two of the scheduled Washington sessions via Skype. It was not the way we had hoped to have this dialogue — but we were determined that it was important to have this conversation and not allow our effort to be completely derailed by the administration’s decision to prevent us from hearing Barghouti directly. As the programmes unfolded, listening to Barghouti’s responses to the questions from Beinart and the audience, it became clear why pro-Israel groups and supporters in “official Washington” are so afraid of letting Barghouti be heard. His answers were so informed and smart and his explanation of the BDS movement were quite compelling. However, seeing Barghouti via a large screen on wheels on the stage meant that we were all undoubtedly missing Omar’s presence, imposing a distance between us that extended the sense of Palestinians as the other and hindered our ability to have a back and forth with him as a real person. As I expected, when it became clear that we did not cancel the events, opponents of BDS reacted negatively. One congressional critic, Representative Lee Zeldin (Republican from New York) issued a release that applauded the barring of Barghouti, denouncing him in especially harsh language. Zeldin’s statement said: “We have witnessed the rise of anti-Semitism and anti-Israel hate throughout the world, in our nation, on college campuses and within the halls of Congress, and whether this bigotry is brazen or shamefully masked as ‘legitimate’ we must reject it... Barghouti’s anti-Israel and anti-Semitic hate must not be tolerated, empowered or embraced and I applaud the administration’s denial of his entry to the United States.” We had hoped that if Zeldin had a chance to meet with Barghouti in person, he would have developed a better understanding of the movement and the man. Zeldin’s remarks echoed the views of President Donald Trump’s new special envoy on anti-Semitism who, when asked for the reason why Barghouti was barred from coming to the US, first said he could not comment on the case but then went on to denounce both Barghouti and the BDS movement as anti-Semitic. The administration’s exclusion of Barghouti has intensified attacks on BDS and I am under no illusion that logic or appeals to justice, alone, will easily win out. We live in disturbing times.